TVXQ’s Yunho participated in a charitable event with actor Son Ho Jun. Former “Reply 1994” co-stars Yoo Yeon Seok and Son Ho Jun have been holding fun “Coffee Friends” donation events in which they give out free cups of coffee in return for donations. However, due to Yoo Yeon Seok’s busy filming schedule for the upcoming tvN drama “Mr. Sunshine,” he was unable to make their latest event. On June 30, Yunho stepped in on behalf of Yoo Yeon Seok and joined his close friend Son Ho Jun for the donation project instead. The first 200 people to arrive at the event received free cups of coffee, and those who participated could donate however much they wanted. Yunho also reportedly took home the post-it notes given to him by his fans during the event. 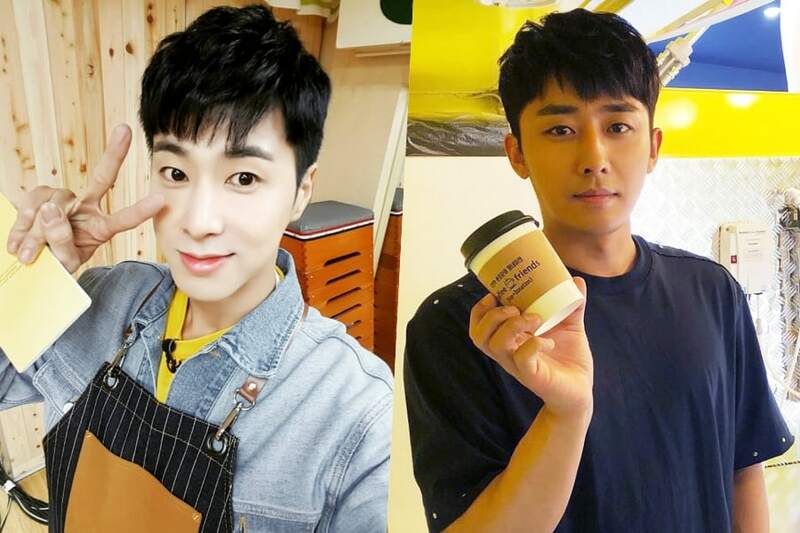 Yunho is currently appearing in the MBC variety show “Dunia.” Check out the latest episode below!